Ebubeleni is a fully licensed facility for your convenience. Although we are a small guesthouse, it’s all about our guests and what we can offer them. We have a large range of red wine’s and over 90 single malt whisky’s, should you chose to make use of this service. Being a self catering facility, you are welcome to provide your own refreshments. Ebubeleni tap water is quite safe to drink, yet we do have bottled water available. Guests are welcome to use the services of the bar at the main house. Ebubeleni has a liquor license, yet this facility is offered as a service and not strictly as a commercial enterprise. 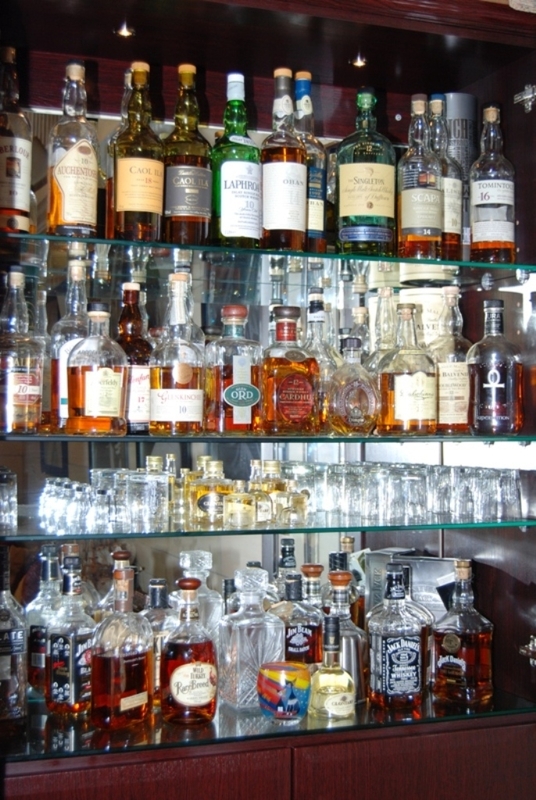 Try our exquisite collection of single malt whiskys (over 90 to choose from), various bourbons and a vast array of wines! Hospitality teas, coffees, sugar and fresh milk are provided free of charge and may be found in the kitchens or in the bedrooms where applicable.